Starting Saturday the 24th and continuing through Sunday the 25th of January, Monterey welcomes the Monterey Whalefest being held at Old Fisherman’s Wharf and Custom House Plaza centered in the downtown district of historic Monterey. 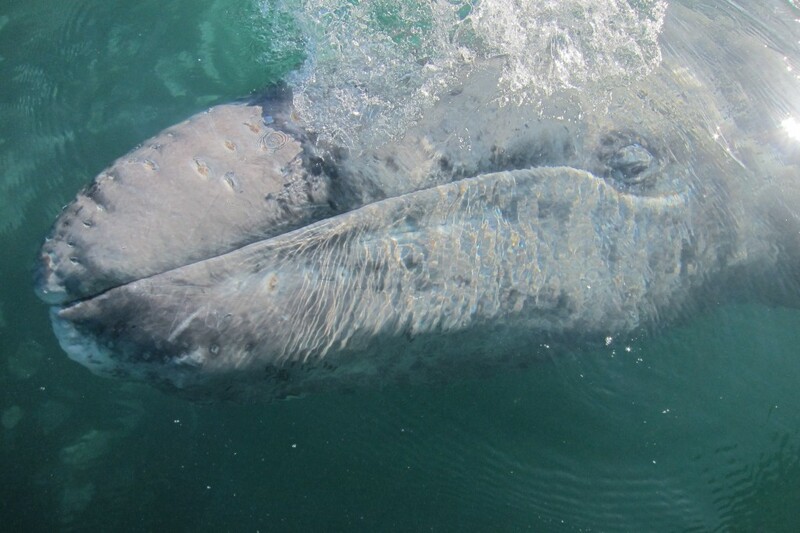 This two day festival celebrates the migration of the majestic grey whales as they make their way across the peninsula following the coastline. These particular species of whales have the longest migration of any animal as they travel over 12,000 miles from the Bering Sea to the breeding grounds of Baja California. They are normally spotted with their young ones beside them and hug the coastline in order to product themselves from predators like Killer whales or Great whites. 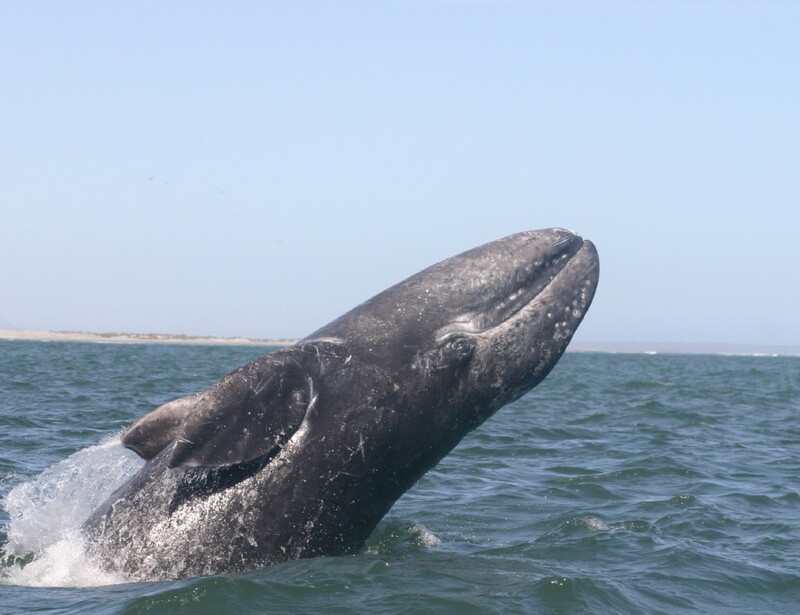 The grey whales can easily be seen breaching with pods ranging from 2-10 all with distinguishing features, but similar in gray color, white mottling, and sometimes covered in barnacles. They can reach up to 45 to 49 feet in length which is equivalent to an average sized school bus and are a sight to behold! So don’t miss out on this exciting chance to experience the wonder of these magnificent creatures as they travel through the Monterey area! Not only is it a once in a lifetime opportunity, but during this two day festival you will also get into enjoy an array of events. Everything from live entertainment, face painting, educational exhibits, historic walking tours, sidewalk art, and restaurants galore! The event starts at 10 am and ends at 5 pm on both days. If that’s not enough to get you pumped and ready for some one on one whale watching fun, then we at our Monterey bed and breakfast can make it just a little bit more exciting by adding on our exclusive Kayaking Package. If you book this package with us, it not only includes an afternoon of kayaking, but also a picnic bag full of goodies, and a dinning certificate for two at any one the three restaurants offered on our website. Feel at ease in luxury along with a good night’s rest and then awake to a two course gourmet breakfast in the morning complimented with a stroll down to the wharf. 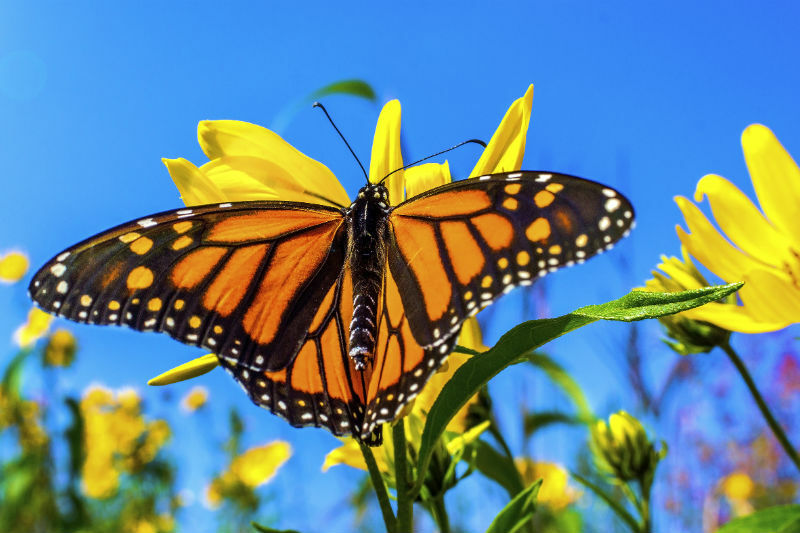 With so much to see and so little time to experience it all, we at Old Monterey Inn would be more than delighted to assist with any of your upcoming planned adventures. 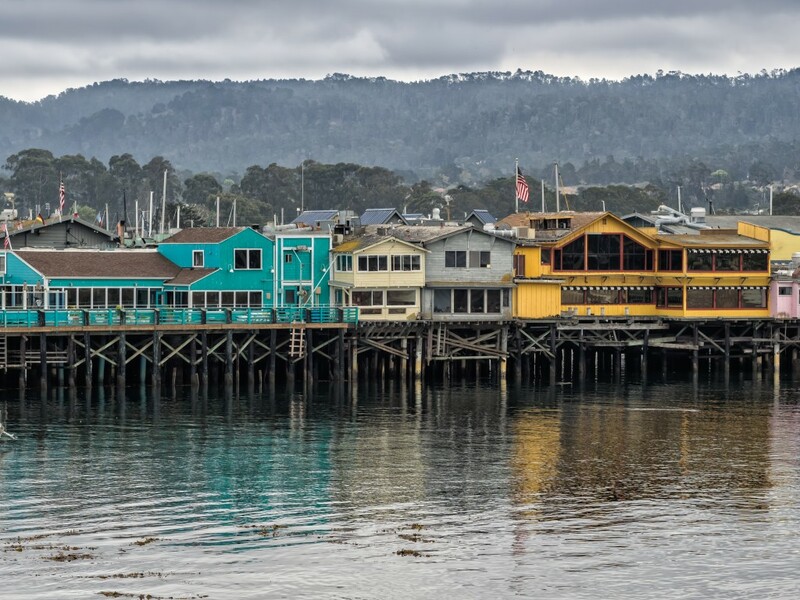 There is so much to do and see in Monterey—the Aquarium, the 17-Mile Drive, Point Lobos, Fisherman’s Wharf, Cannery Row, and the list goes on. Behind all of the main attractions, though, is a rich history and cultural heritage that the average tourist often overlooks. This week, we’ll spotlight the many repertory, community, and youth theatres in the area. In neighboring Carmel, you’ll find two theatres: The Forest Theater, and Pacific Repertory Theatre. In Pacific Grove, you will find The Performing Arts Center of Pacific Grove. Right on Monterey’s Fisherman’s Wharf is the New Wharf Theatre. 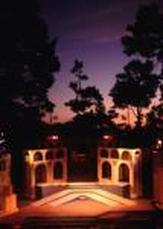 The Forest Theatre in Carmel has been thrilling audiences since 1910, and it is the oldest outdoor theatre west of the Mississippi River! They have live theatre performances and live movie screenings in the summer. Take a cushion, take dinner, and enjoy theatre in the great outdoors in front of a fire pit! The Pacific Repertory Theatre is also located in the heart of Carmel, and is one of the best professional theatres on the Monterey Peninsula! It has an intimate 300 seat auditorium and you’re sure to love the performances they put on! 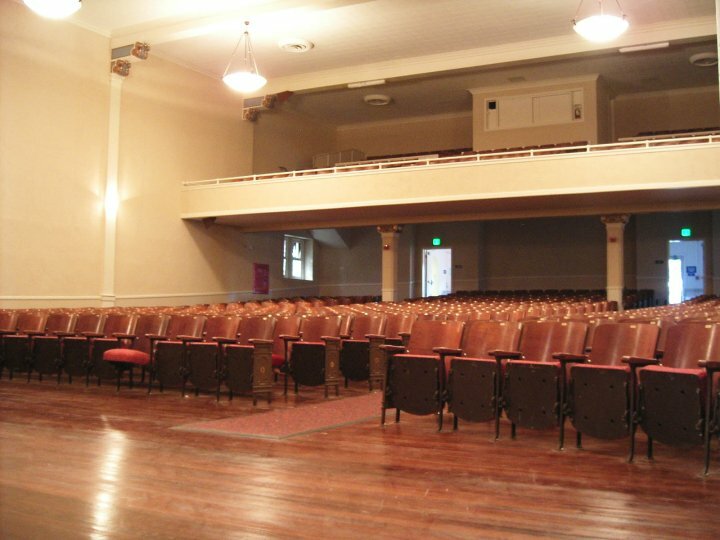 The Performing Arts Center of Pacific Grove was originally built in 1923. Over the years this “art deco” facility has hosted many world renowned artists including Ella Fitzgerald. The Performing Arts Center continues to host performances of the highest caliber and is poised to become one of the true “must plays” in California. The New Wharf Theatre on Monterey’s Fisherman’s Wharf is community theatre at its finest—you’ll enjoy exuberant and fun-filled performances from Monterey locals. The Old Monterey Inn is centrally located and will be a relaxing romantic home base from which to explore all that the Monterey Peninsula has to offer. The Forest Theater in Carmel. Your home base: Old Monterey Inn garden patio. As Fall sets in across the States, we are enjoying a spectacular Indian summer here in Monterey. 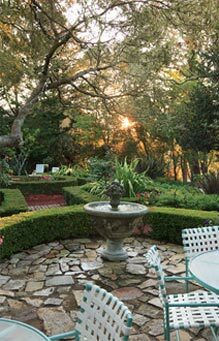 Our 1.25 acres of gardens at The Old Monterey Inn, a Monterey Bed and Breakfast, are steeped in fog in the early morning, and are then basked in the late morning and early afternoon sun. Start your day with a gourmet breakfast in our 1929 European style dining room and then enjoy a stroll along the Monterey Bay Coastal Bike Path. See personal sail boats dock amid the barks of sea lions and squawks of pelicans, cormorants, and blue herons. 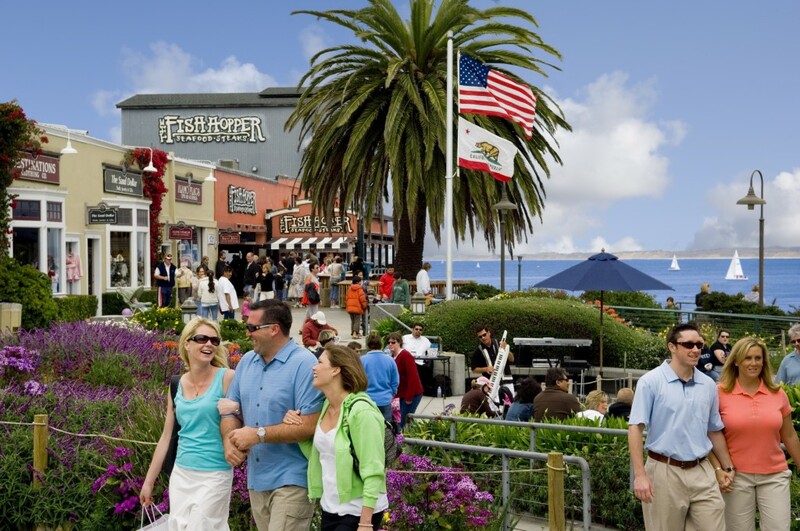 The world famous Cannery Row is a mile-and-a-half down the Bike Path. Steeped in literary history, Cannery Row harkens back to the time of John Steinbeck’s former stomping grounds—even today, Ed Ricketts’ (“Doc”) house and laboratory still stand and are available for viewing. As Steinbeck described, “Cannery Row in Monterey in California is a poem, a stink, a grating noise, a quality of light, a tone, a habit, a nostalgia, a dream. Cannery Row is the gathered and scattered, tin and iron and rust and splintered wood, chipped pavement and weedy lots and junk heaps, sardine canneries of corrugated iron, honky tonks, restaurants […] and little crowded groceries, and laboratories[…]” Discover Cannery Row today and return to the Old Monterey Inn at night—your own luxurious, historical getaway. You might even discover that Cannery Row, or, as Steinbeck describes it, “the hour of the pearl—the interval between day and night when time stops and examines itself” provides you the unique opportunity to reflect on your own happiness and the beauty that surrounds you in Monterey, California and at our very own Monterey Luxury Lodging: Old Monterey Inn.